PSU manufacturer VxI Power has developed a new bridge device that allows power supplies with Modbus RTU communications capability to be controlled and monitored over the internet or any other WAN or LAN. 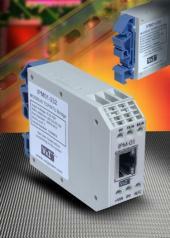 As well as acting as a communication bridge between the Modbus RTU and Modbus TCP protocols, the IPM01 device features an embedded HTTP server that enables the user to view and configure PSU parameters via a web browser. Lincoln-based manufacturer VxI Power has added a compact new 40W model to its Oracle family of battery-backed switch-mode power supplies, which are used in a wide variety of mission-critical applications. Particularly suitable for systems where the available space is restricted, the Oracle III-40 measures just 100 x 100 x 45mm and yet is equipped with all the advanced communications and control features of larger models in the range. 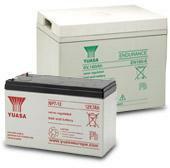 VxI Power are pleased to announce the availability of the full range of Yuasa industrial batteries. Yuasa are one of the world’s largest manufacturers and suppliers of valve regulated lead-acid batteries with global manufacturing plants and an extensive marketing and distribution network throughout the UK and Europe. Since the early part of the 20th Century Yuasa has been at the forefront of lead-acid battery technology, embracing new developments, applying research and investing in modern production plants to meet the challenges of a power hungry world. 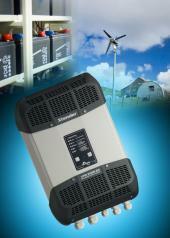 Now available from Lincoln-based power-supply specialist VxI Power is the versatile Xtender range of inverter-chargers, which can be used in a variety of configurations to charge a bank of batteries and convert their DC output into a stable AC supply. Manufactured by Studer Innotec, the rugged Xtender units are ideal for off-grid renewable-energy installations or for use as uninterruptible power supplies in grid-connected applications. e-mail or call + 44 (0) 1522 500511 today to discuss your requirements.